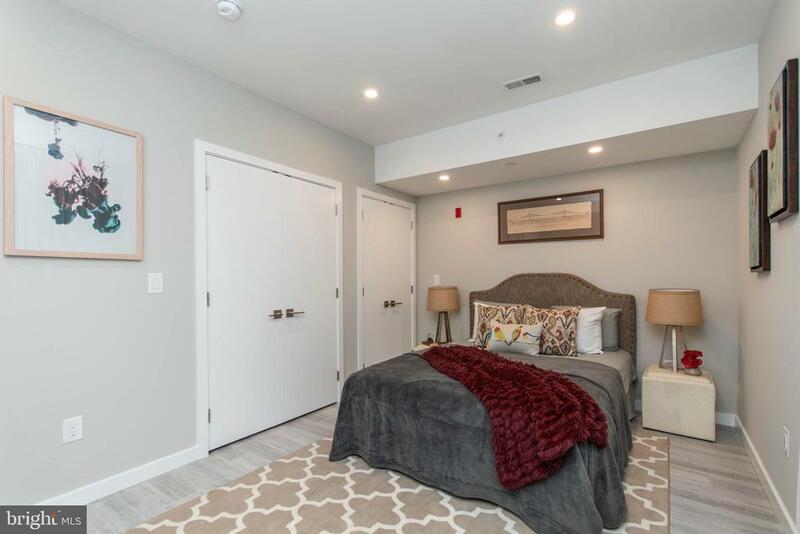 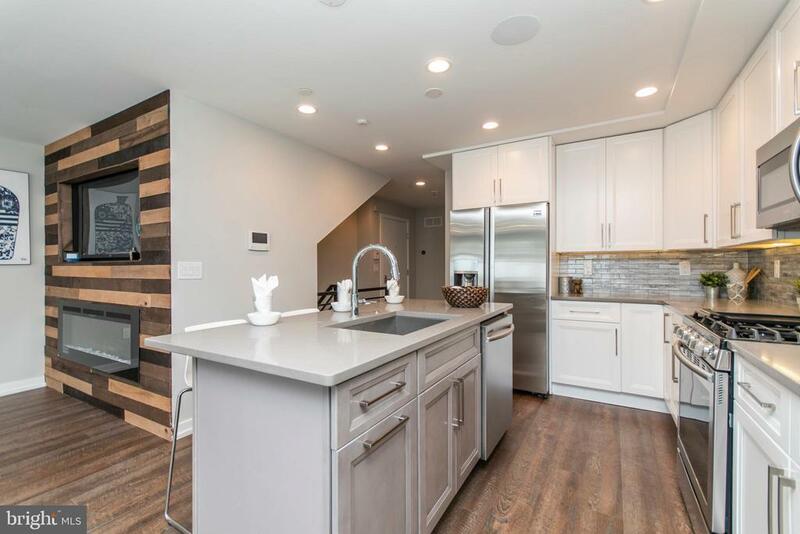 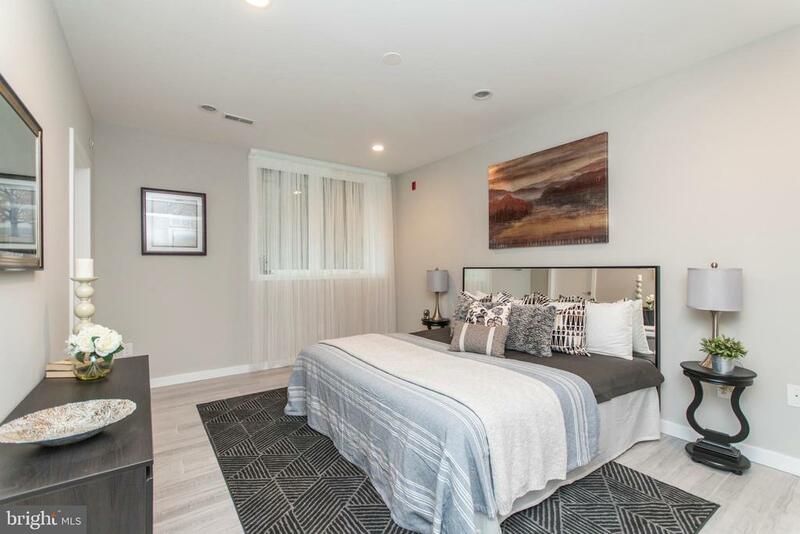 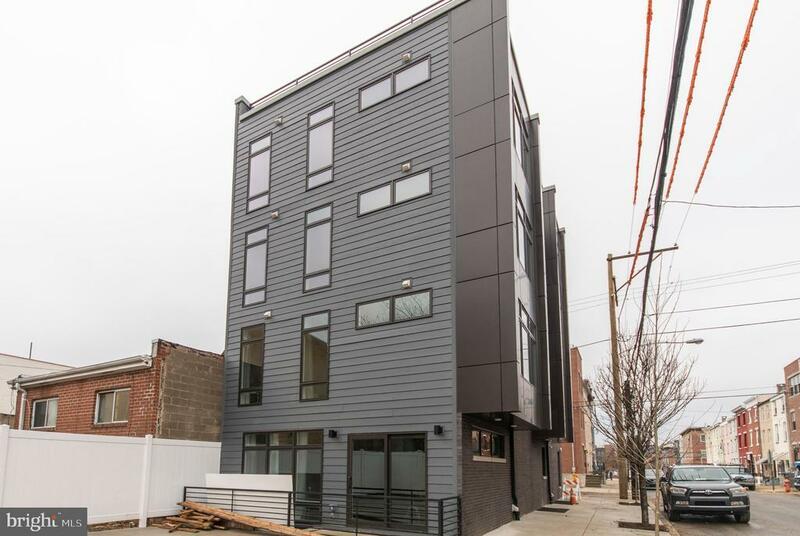 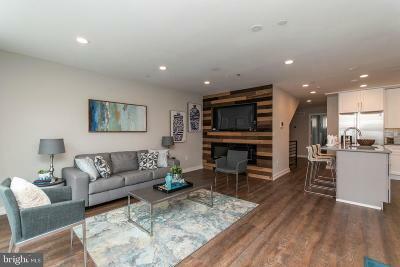 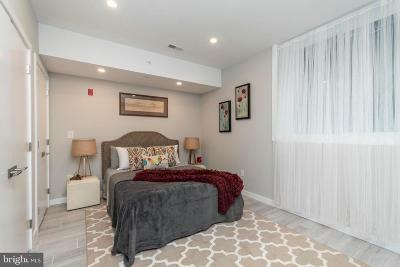 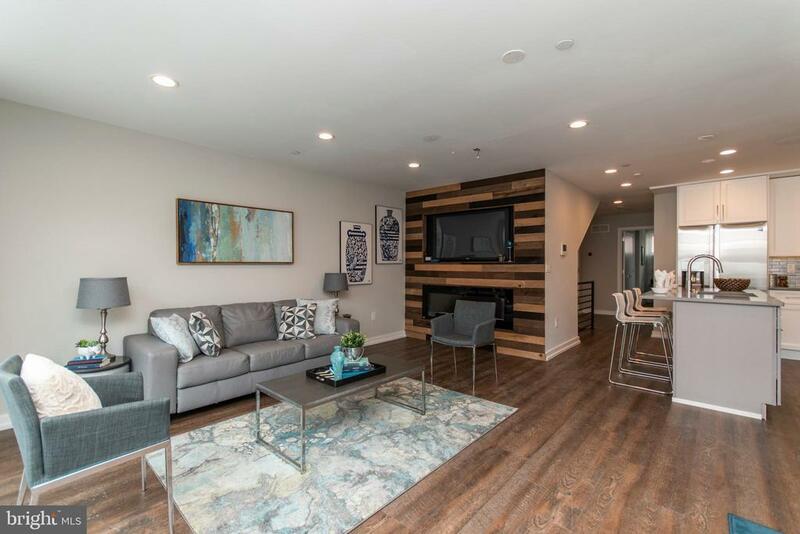 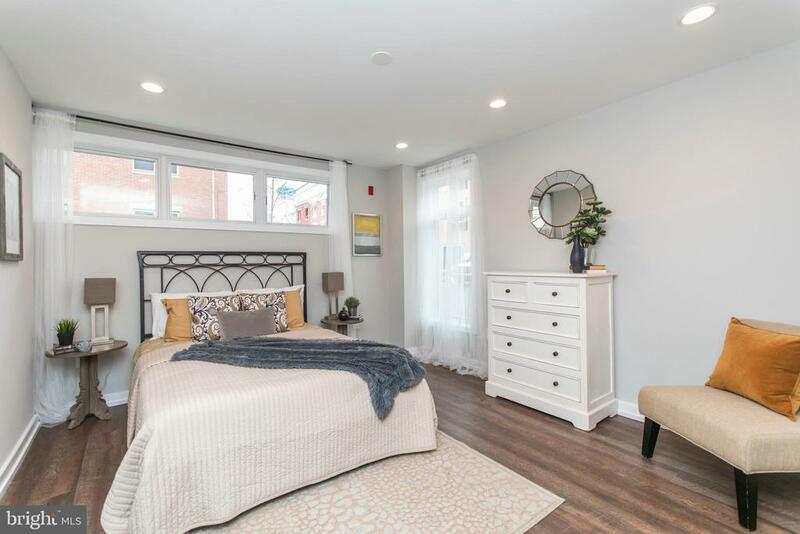 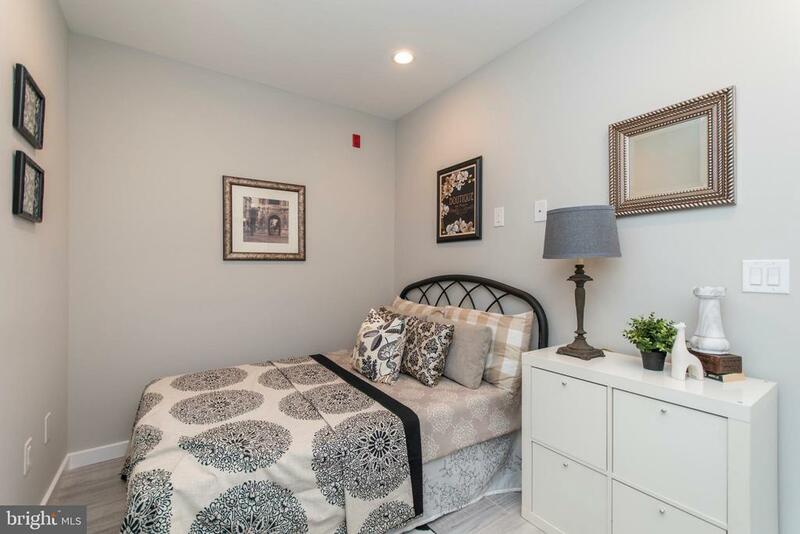 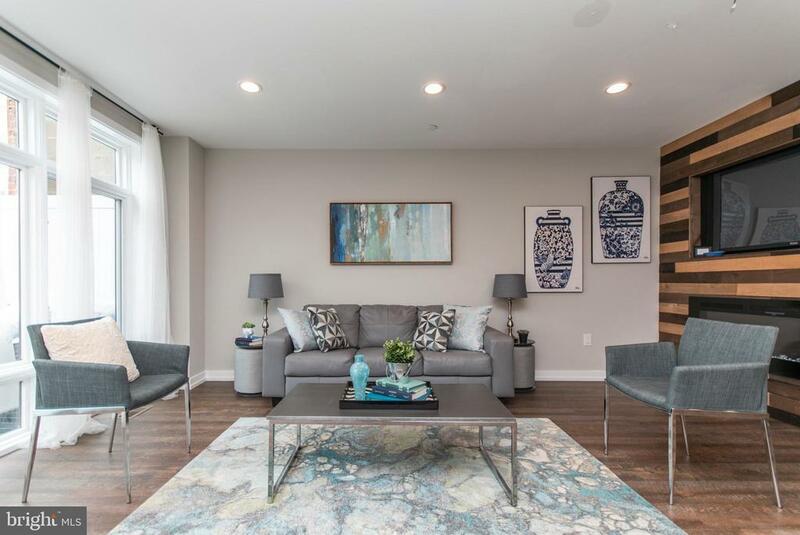 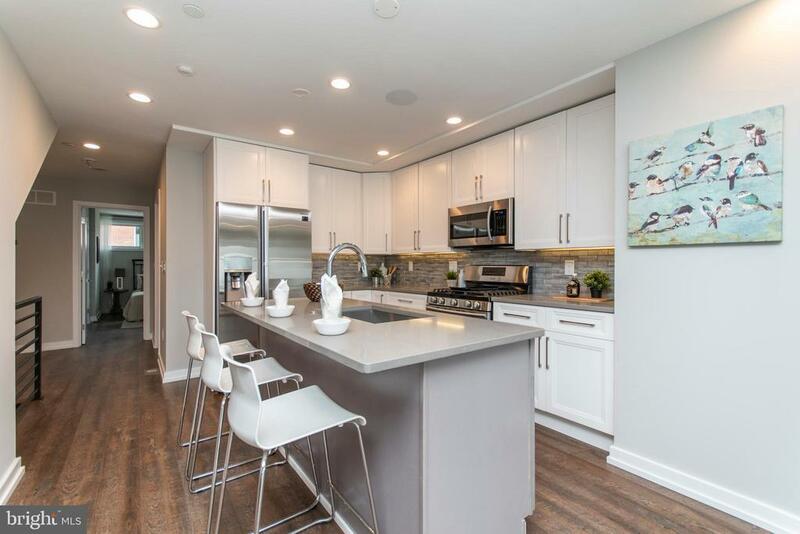 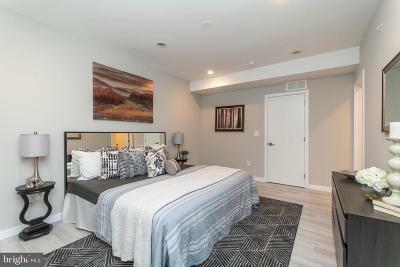 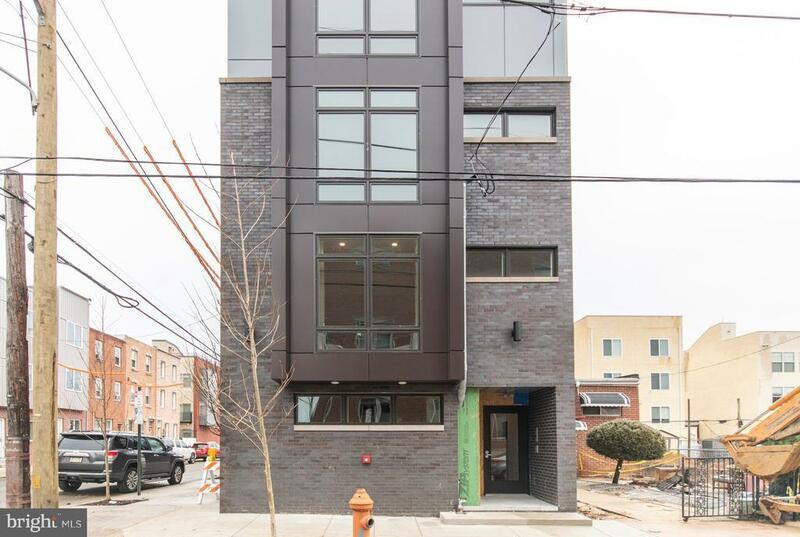 A fabulous new construction unit with parking in the heart of Francisville! 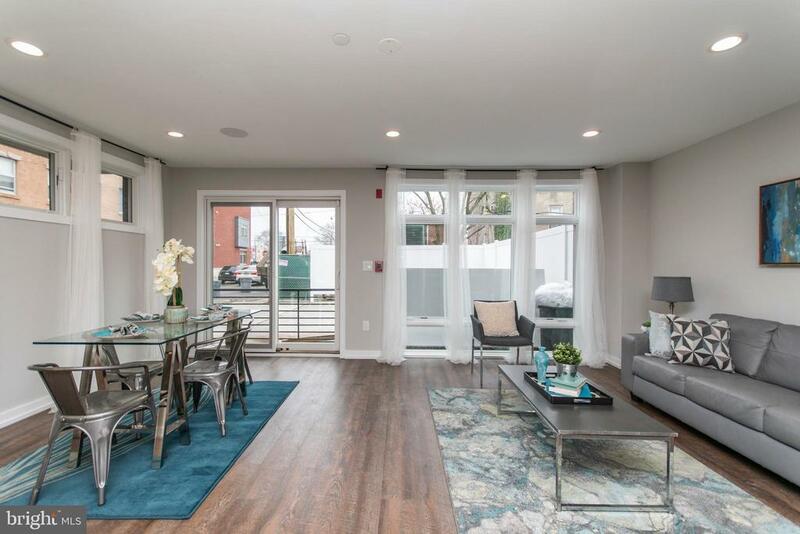 Found in a 20 ft wide building with windows on three sides, enter this corner property and admire the light filled rooms which showcase the finer details such as the gorgeous high ceilings with recessed lighting, large windows and so much more. The open living and dining area invites all, and includes both immense windows and a sliding door that leads to a charming patio, as well as a stylish accent wall with alcove for a television and a gas fireplace- just the place to binge-watch your favorite shows on those chilly nights! 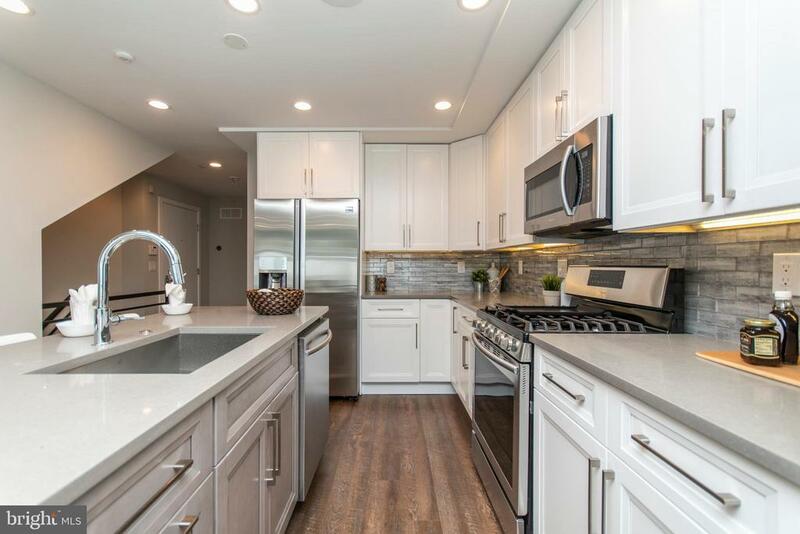 Continue through to the gourmet kitchen, complete with gleaming white cabinetry, tiled backsplash, under cabinet lighting, stainless steel appliances and a large kitchen island for you and your friends to gather around. 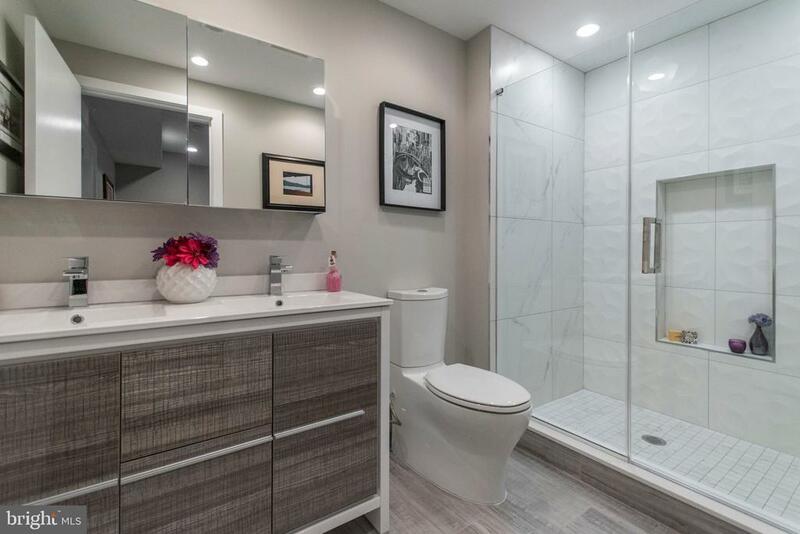 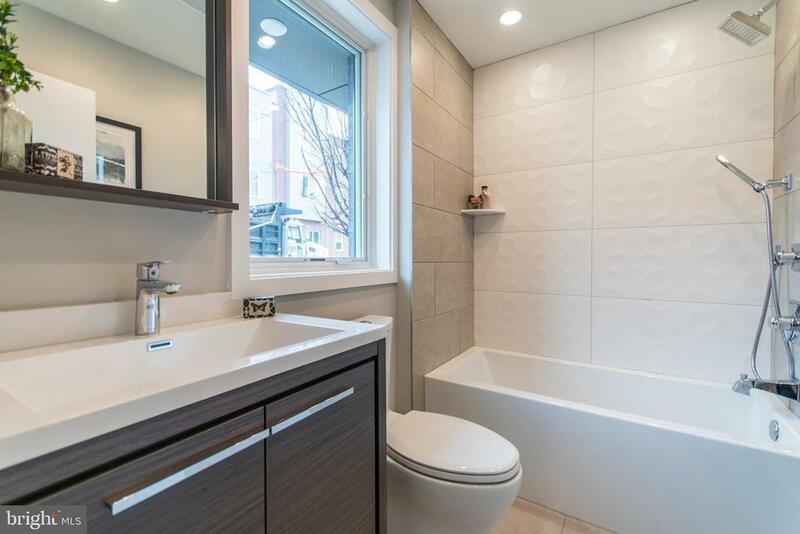 From the kitchen, pass by the conveniently located powder room and take a look at the sun drenched bedroom and full bath with custom tiled tub and shower. 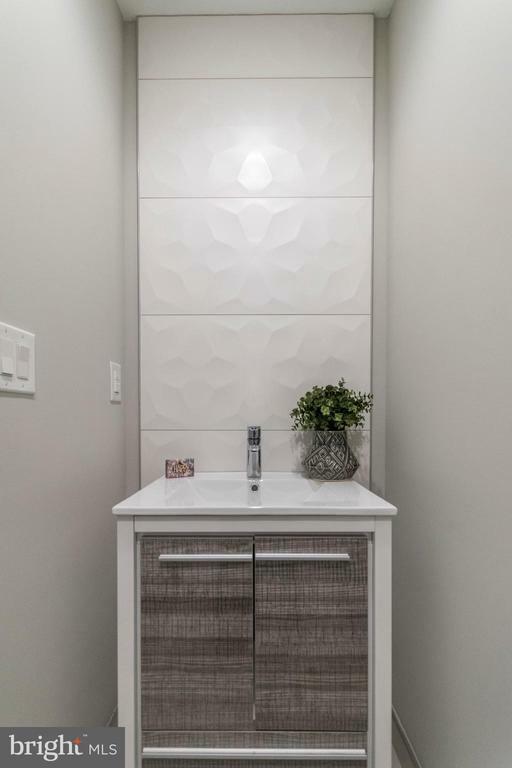 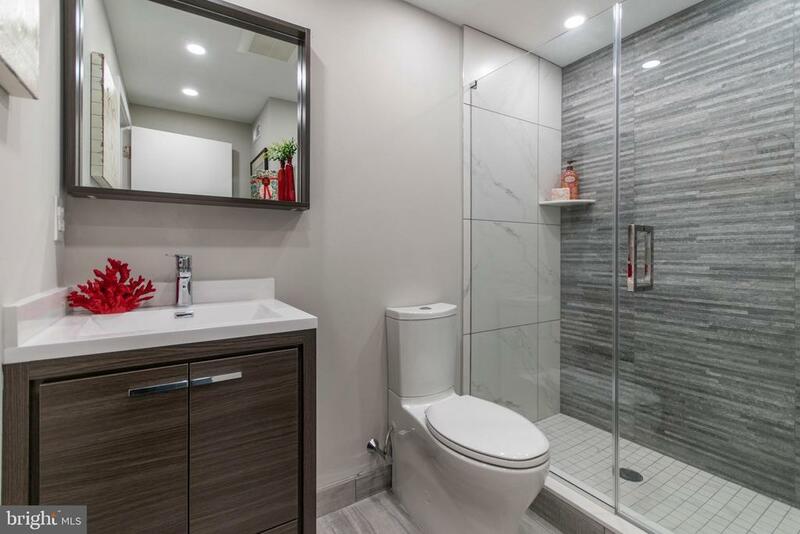 Downstairs reveals two other spacious bedrooms with ample closet space, as well as a master bedroom with ensuite bathroom, which features a beautiful dual vanity and custom tiled shower with frameless glass enclosure. 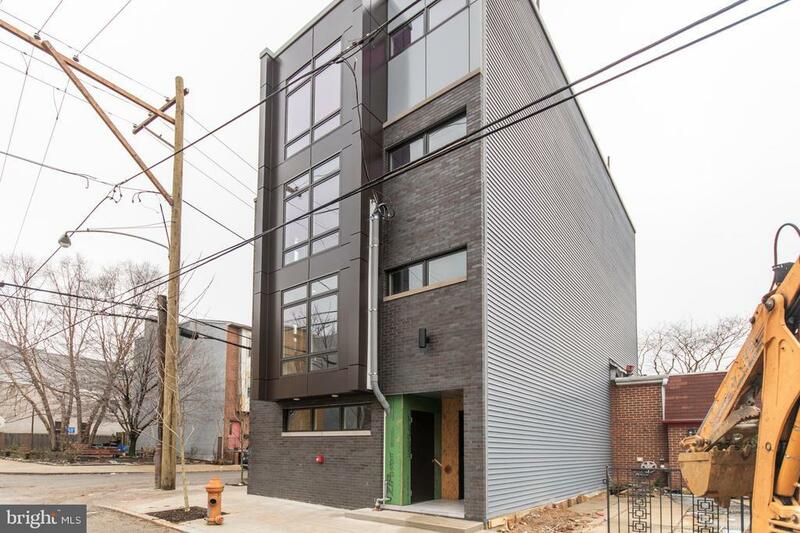 Located just blocks away from all that Fairmount Avenue has to offer, and with a tax abatement, this is one you dont want to miss! Agent has financial interest in the property.